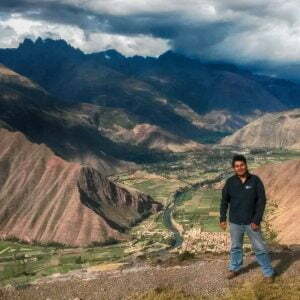 To be Peru’s leading alternative tour agency, targeted at travellers who have a greater appreciation of culture and seek a route that is off-the-beaten path. Additionally, we aspire to build lifelong friendships with our clients, potentially leading to fruitful cross-continental business opportunities. 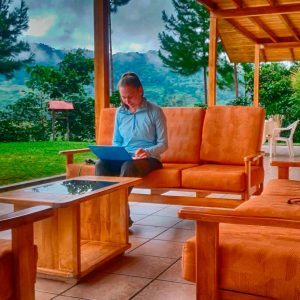 A husband and wife team, David and Sylwia, created Daspe Travel to improve the quality of tourism in Peru and provide clients with a more personalized travel experience. 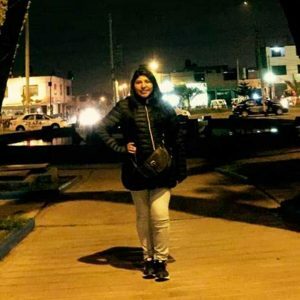 Hailing from Peru and Poland respectively, the couple have experienced the Peruvian and South American tourism industries first-hand, and therefore understand the strengths and areas of improvement, from both a local and foreign perspective. With over 5 years of experience in the tourism industry and compiling our knowledge to highlight all that Peru has to offer, Daspe Travel has perfected the art of tailor-made tours just for you. From preliminary discussions, we review your interests, allotted time, group size, and the type of experience you are looking for — to create your perfect Peruvian itinerary. Are you interested in how a local family lives in the Peruvian Sacred Valley, at the foothills of Machu Picchu? If so, an Incan homestay could be the package for you. Based on your interests and appetite for adventure, we will pair you with a family in a rural environment, that you can call home for at least one night. In this expecience you will gain local knowledge as you exchange stories of each other’s cultures over an open fire, whilst cooking a stew made of ingredients that you helped gather – corn, onions, carrots, and potatoes (of which there are 2,500 varieties in Peru). Do you have a passion for wildlife? Because the Peruvian Amazon has around 3,000 species of beautiful birds, amphibians, mammals and reptiles; and 8,000 species of plants. In fact, 84 of the world’s 103 ecosystems can be found in Peru! You will be amazed by the stunning sounds, sights and fresh jungle air; as you trek, river boat and meet local communities through the Manu National Park. Just don’t forget to bring mosquito repellent. Would you dare sandboarding down the surreal sand dunes surrounding the oasis of Huacachina? You can also take an evening dune buggy ride and witness a postcard-like panorama of yellow, orange, pink and red; as the sun sets over the sandy horizon. There is an abundance to do and see in Peru, especially in the Cusco region; which includes endless treks, high-adrenaline activities such as mountain biking and ziplining, historical sites, and small towns. The variety of tours and companies on offer can be overwhelming. You do not want to find yourself sipping on your fresh passionfruit and guava juice before your flight home, to realize that you overpaid to go on the same “gringo trail” that thousands of travellers have done for years! But do not worry, one of the things that makes us unique is that we are not the type of agency to rush you through all these activities. It is not everyday that you find yourself in such beautiful and diverse natural environments. Therefore, we give you the time and even encourage you to reflect, medidate, and try to feel at one with nature. Consult a capable and experienced tour operator. Book with Daspe Travel to maximise your trip and ensure that you have the most unique, local experiences — with a company that always goes the extra mile. Regardless of your goal, as long as it includes Peru, we will happily work with you to achieve you desires. At Daspe Travel, the customer always comes first. Daspe Travel prioritizes your well-being in everything we offer. We guarantee that our equipment is high-calibur, meets safety standards, and is maintained by our trusted staff. Daspe Travel has a perfect safety record, and together with providing a quality and personalized tour experience — safety is our #1 priority. At Daspe Travel we believe in crafting wonderful memories. Ultimately, these are all you will have after you leave Peru — besides the many alpaca fleece products you are bound to purchase.